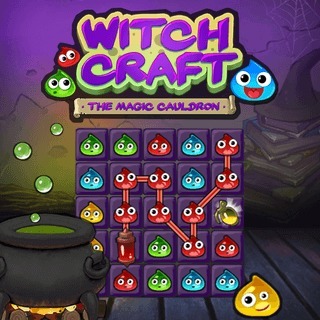 This enchanting Match 3 game is all about brewing magical potions. Make chains of droplets and combine at least 3 drops in a line to remove them from the field. Bigger chains create powerful potions and give you bonus points. Puzzle your way through 25 unique levels and try to earn all stars!